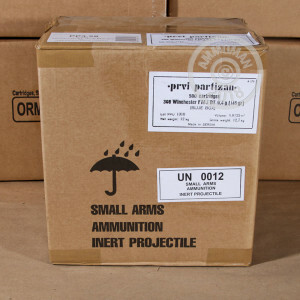 Prvi Partizan range ammunition delivers cost-effective performance that makes it the choice of many dedicated shooters. 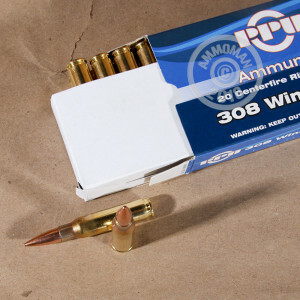 These .308 Winchester cartridges are an excellent target load for M-14, Remington 700, and AR-10 rifles. Each round in this box of 20 propels a 145 grain full metal jacket bullet to a muzzle velocity of 2,837 feet per second. This results in external ballistics very similar to M80 mil-spec ball loads in 7.62 NATO. 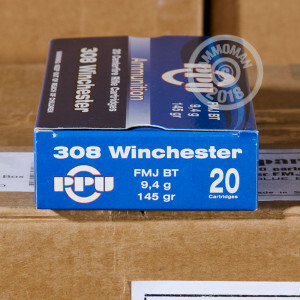 PPU ammo is loaded in Uzice, Serbia using non-corrosive Boxer primers and reloadable brass cases.